New York (TADIAS) — Former Emperor Haile Selassie is finally receiving his due recognition for his role in establishing the African Union (AU) – initially launched as the Organization of African Unity (OAU). 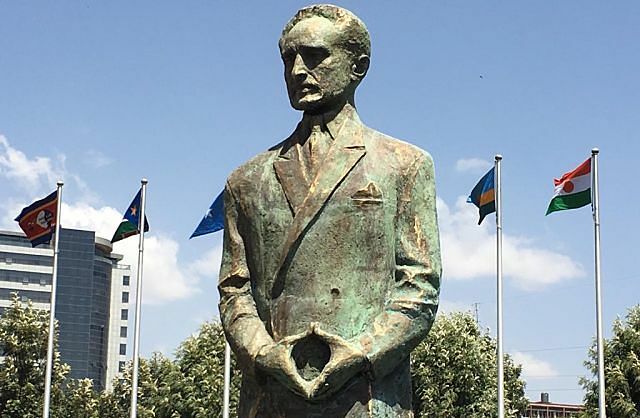 On Sunday, February 10th, a majestic new statue in Haile Selassie’s likeness was inaugurated at the AU headquarters in Ethiopia’s capital in the presence of heads of state, family members, community leaders and international media. Among those who attended the event included Ethiopian American social activist Nebyat Aklilu Demessie, who led a grassroots movement for over 6 years to help erect the statue honoring Ethiopia’s last emperor. Nebyat traveled to Ethiopia for the event at the invitation of Haile Selassie’s family.